SCSI Interface Kit for MS2000/MS6000/MS7000. 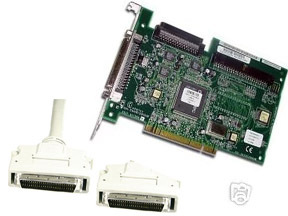 Includes correct Adaptec SCSI PCI Card for you PC, Minolta Drivers & Scanning Utility for all MS Scanners & a 6' SCSI Interface Cable that goes from the card (your pc) to the Minolta Microfilm Scanner. *This kit does not include the SCSI Card that mounts inside the MS6000 giving it the "Scan to PC" option, that card is part number 1379-207 and is sold seperateley. If you have an MS6000 MKii and want a USB interface, order part number 1379-337. Standard MS6000 units without the MKii designation on the front panel cannot use the USB card.